Getting bridgework usually takes two visits to the dental office. 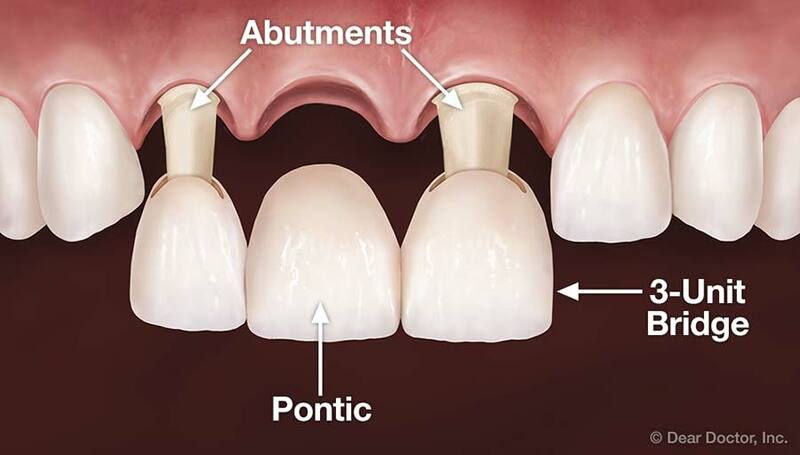 At the first visit, we will prepare your abutment teeth as described above, using local anesthesia to minimize any discomfort from drilling. Because three-dimensional models of your teeth are needed to construct the crowns, we will then take a mold of your prepared teeth using a putty-like impression material, or we may use digital scanning equipment. The 3D models of your teeth we create will aid the dental laboratory technicians who will actually make your crowns. We will give you a temporary bridge to wear before you leave the office. At your next visit, we may be ready to cement your permanent bridge in place. A brief transition period may follow, during which you become accustomed to the feel of the new bridge against your tongue, lips, and cheeks, and accept it as your own teeth. Please remember that your crowned teeth require the same conscientious care as all your other teeth. Be sure to brush and floss every day to reduce the build-up of dental plaque. 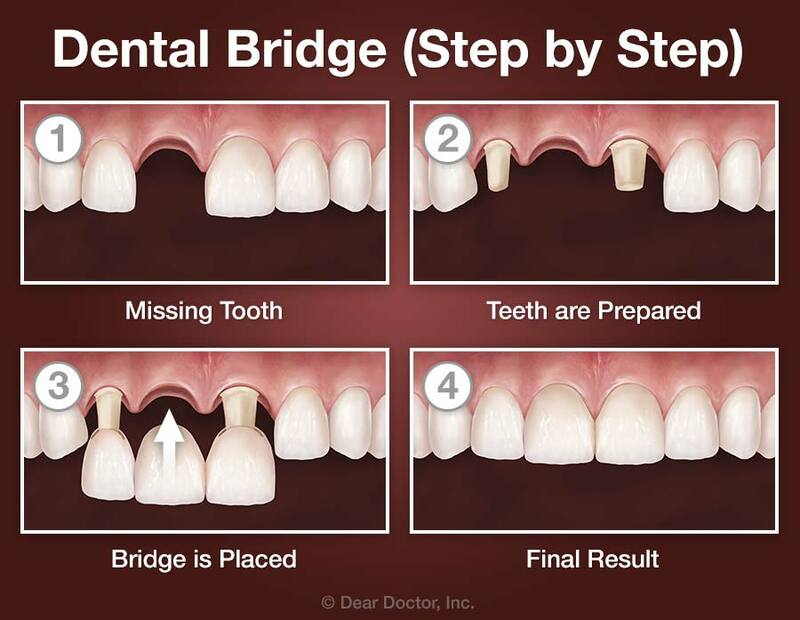 When you have a bridge, it is even more important to maintain your regular schedule of cleanings here at the dental office. It is not unusual for a well-cared-for bridge to last for a long time.